This weekend marked the start of New York’s International Bridal Week! Bloggers and editors from bridal magazines all over the country came to the city to see the latest trends in wedding gowns and bridesmaid dresses at the bi-annual bridal market. 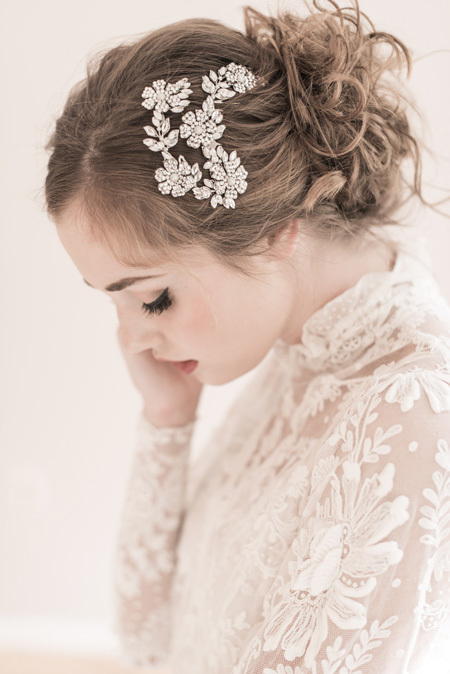 The looks were simply stunning; from lace to embellishments, there’s so much to get inspired by! Obviously, we can’t all afford these designer price tags, but many designers get inspiration from events like this. Want cutting edge fashions for your special day? Here are my top 5 favorite trends from Fall 2013’s NYC Bridal Fashion Week! 1. Lots of lace! So many of the collections featured stunning laces. The Vera Wang collection was simple and elegant. Dresses had lace in all the right places. She used lace in all the right places like the bodice. Think iconic Kate Middleton in her 2011 royal wedding. Choose lace if you are going for the soft romantic look. 2. The embellished bodice. It’s all in the details when it comes to the bodice. From ruffles, to lace, to crystals, to flower embellishments, to beading, bodices are gorgeous and intricate this fall. Drawing attention to the bust line, the bodices are balanced by simple skirts making the dresses just interesting enough; not too gaudy or overdone. Even the simple girl can rock a stunning bodice! 3. Jewel tones… not for the brides, for the bridesmaids! Playing up plum, midnight blue, and magenta, the deep berry tones are perfection for fall. The Monique Lhuillier collection used jewel tones and drew attention to the shoulders incorporating strapless and off-the-shoulder designs. 4. The detailed back. I absolutely LOVE a detailed back. When it comes to fashion, I always think that unexpected is beautiful. What’s more gorgeous than a simple dress with an intricate back? Think deep-v and keyhole gowns with lace details. 5. Headpieces. So many of the gowns were paired with beautiful headpieces and bands incorporating crystals, beading, and simple flower embellishments. Headpieces can be a unique and elegant addition to your look. For photos check out Brides.com blog Aisle Say!